Last week, it being my dear hubby's turn to choose a restaurant for our weekly date night, he announced his desire to try the new chicken and waffles bar and grill downtown. I quickly avowed, "that sounds more like a breakfast item." Of course, he chuckled and proceeded out the door. Once there and after being served the signature plate of chicken and waffles, I didn't quite know how to eat the duo set before me. I decided it was best to slice into the chicken, cut a piece of the waffle, which I drizzled with maple syrup, and placed them together on my fork for eating. This worked well. 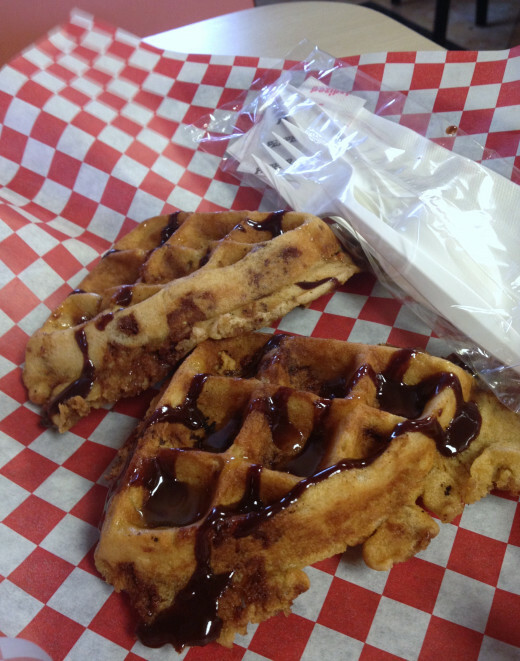 I was pleasantly surprised with the mingling of crispy, salty, slightly spicy, chicken and sweet, toasted waffle. I was hooked! In addition to the fabulous chicken and waffles, we enjoyed the collard greens, buttery grits,and spicy fried chicken soup. Since then, we have been back and plan on making this venue a monthly visit. Next time, we have our sights on the fried catfish and oven baked baby back ribs. I may sneak in a piece of the peanut butter cup waffle dessert. Okay, I probably will. What made this experience so gratifying? You can get great food anywhere, but what keeps customers coming back is the service. This restaurant modeled the concept in full force during our visit. 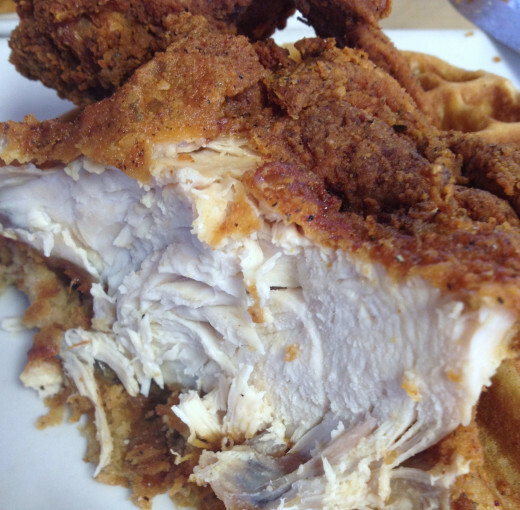 Have you tried chicken and waffles? With such statistics, it is vital for a new restaurant owner to identify his or her target market within the local population accurately. Additionally, differentiating the product from the vast amount of diners, bistros, and cafes is essential to survival. Good service will lead to repeat business and one bad experience takes ten plus positive experiences to recoup customers. A savvy manager realizes it is much easier and cost effective to retain a current customer than to attract new patrons. The following chart represents what customers value and how meeting those expectations will benefit a business. I can attest this particular grill has all of the criteria to excel in the business. The minute you walk in the door you are warmly greeted, "Welcome to Bay Bays!" Your server will ask you if it is your first time. And if it is, you are in for a real treat. First timers are given a free sample appetizer, ours was fried chicken wings. This alone aroused our attraction to the quaint diner. Within minutes, we were seated, received our drinks, were given a menu, and welcomed by all the servers and chefs. Our orders were served hot to us under ten minutes. We felt like royalty. 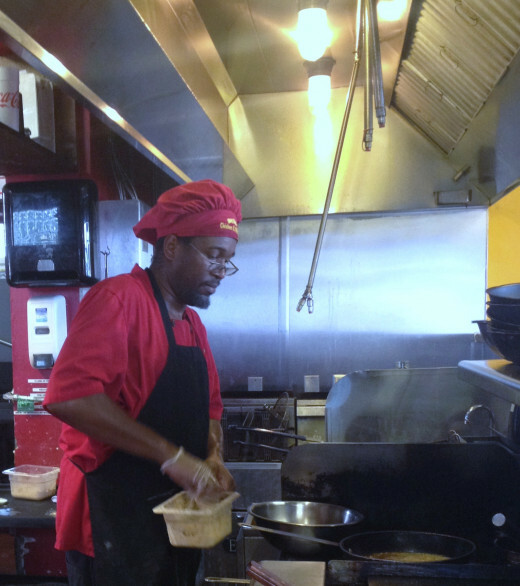 Bay Bay's Chicken and Waffles restaurant of West Palm Beach, Florida is owned and managed by Israel Johnson and Albert Bullock. I spoke with Albert on the excellence of his service. I asked what made it run so well? His response was interesting. "It is not always about the food, the service is what makes the difference. We hire people with attitude and personality. We believe in great food and great people." The competition for new restaurants is challenging and in order to acquire a segment of the market you must establish your niche quickly. With the emphasis on outstanding service and professionalism of staff and management coupled with high-quality good food, Bay Bays has found its position in the marketplace. This appetizer hit the spot with the chocolate sauce drizzled on top. 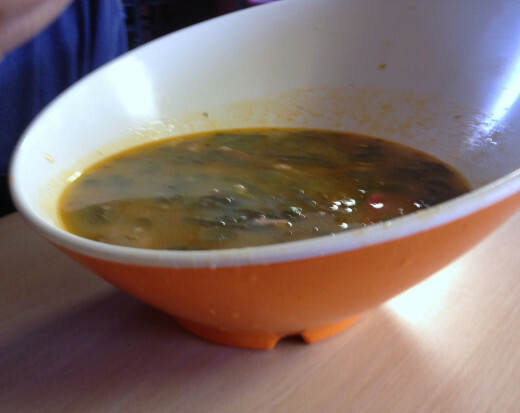 Bay Bays spicy fried chicken soup is quite tasty and the presentation is spectacular. 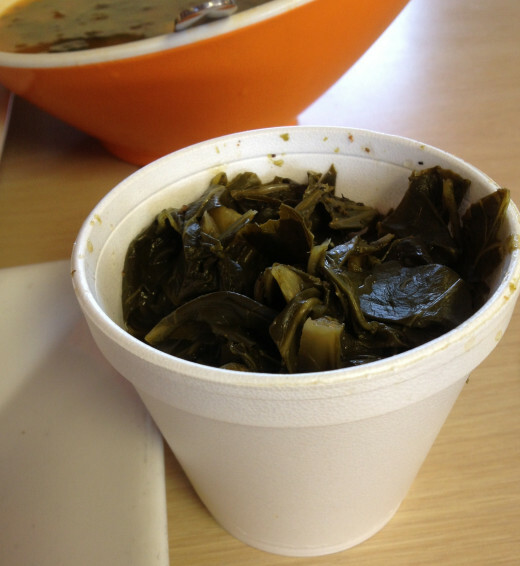 The collard greens are a delightful add to any meal. Each chicken piece is moist and meaty. 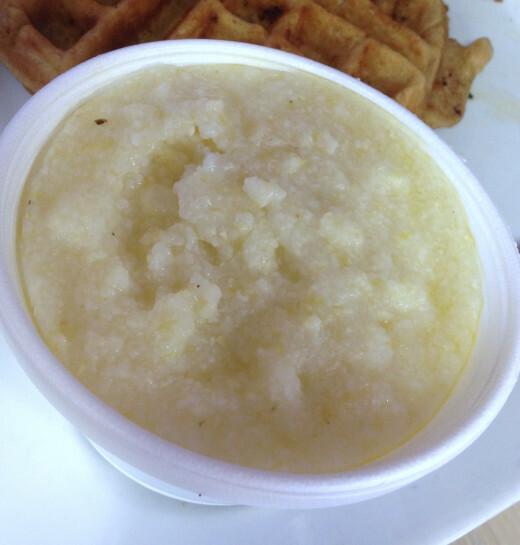 Who can resist a cup of buttery grits? It is the perfect compliement to any meal. The servers believe the eating experience is not always about the food. Customers value professionalism and service. Watching the chef prepare your meal is an added dining experience. 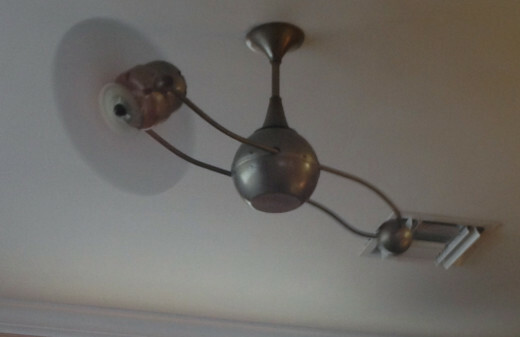 The ceiling fans are part of the unique decor. Although it is small, the inside dining area is cozy and has lots of charm. 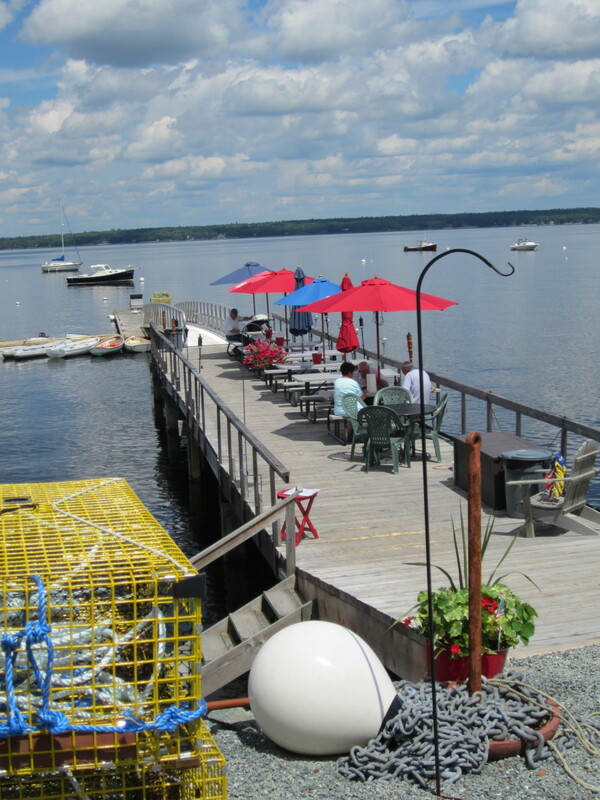 Bay Bays has two locations, the original location is mapped. 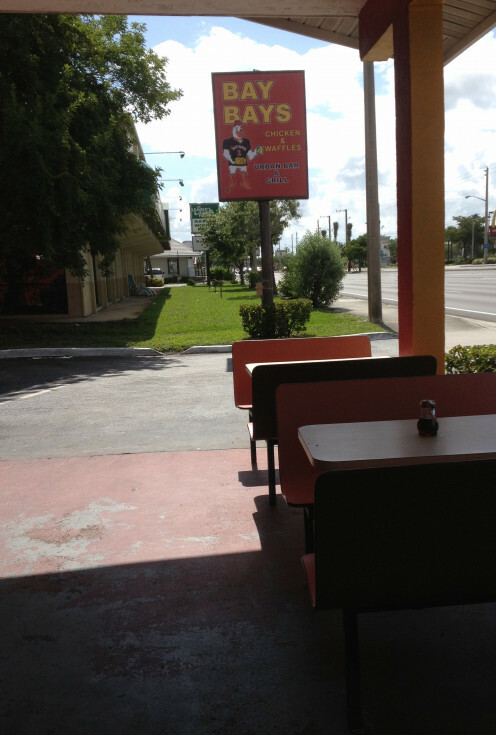 The second location is located at 1558 Palm Beach Lakes Blvd in West Palm Beach, FL. Thought I consider myself to be a southern man, I have managed to miss out on chicken and waffles lo these many years. I guess I will have to try some with a side order of cheese grits. Tolovaj, I would have given that waiter a nice tip for the thought. Yes, some tricks are still worth keeping. Good to see you and have a most wonderful evening. Sounds like a very interesting combination of tastes. I am not accustomed to mix salty and sweet food, but wouldn't mind to take a bite! Olog, I would tend to agree the competition is tough for an independent business. But if one can excel in service they have a good chance of making it. Good to have your contribution to the conversation. Enjoy your weekend. It looks as if this restaurant knows how to treat its customers. One independent restaurant owner I was speaking with said it's very tough to compete against the chains. Rachel, you have my interest in Roscoes. I'll be sure to visit if I get out that way. Thanks for your encouragement. 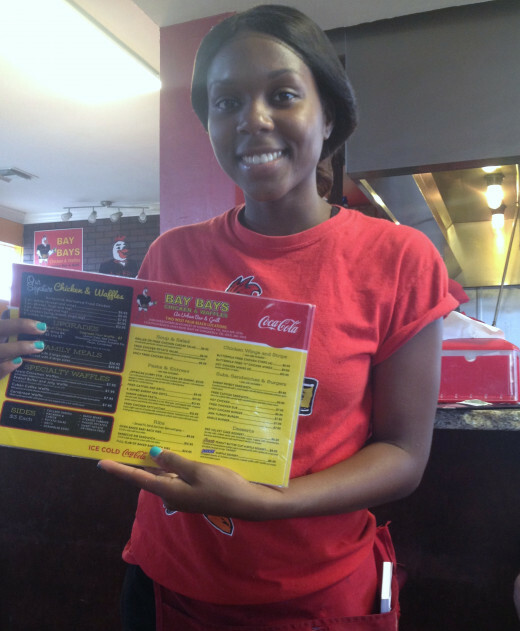 Ruby, customer service is what makes for successful dining and return customers. Great to see you and thanks for your insightful post. It is one of m favorite southern foods, very delicious! I agree too, a good restaurant has to have quality service not just good food. We have a restaurant in LA called Roscoe's. Actually we go to the one in Inglewood because it is closer. They serve Chicken & Waffles -WITH maple syrup. I think gravy is such a waste on a waffle. The menu says Roscoe brought the recipe from Harlem with him but I wouldn't know if that was hype for the restaurant or what since it's been open long before we ever moved there. It is quite good, especially with warm maple syrup. Some folks rather have gravy because they are used to chicken and gravy with biscuits. Some folks won't even try it because chicken doesn't look right on a plate or a menu with waffles next to it. They eat steak & eggs, so go figure. But there is nothing like the texture of chicken with waffles complemented by warm maple syrup. Did you ever turn this into a newspaper food column as a review? You should because it is a great article. Voted up and if you ever come to LA, look up Roscoe's - I think there are like 4 restaurants, it's a small chain. But do try it and compare it. Rajan, I know it is good customer service that makes me want to return to a restaurant. Thanks for your visit. I'd look for customer service the first thing in a restaurant because that would make the dining experience better. Unfortunately, I'll not be able to savor the food, which looks very tempting, or the service as I don't have access to this facility in India. Excellent review and lovely pictures, Dianna. Ologsinquito, if the customer service is weak, you might as well close shop. I agree that customer service can make or break a dining experience. Rebecca, you will enjoy them! I love waffles, so I will go for this idea. Sounds great! Feel free to add it to your article, I write a good bit of historical fiction and I found that out. I think Jefferson brought over the first waffle iron back from France. TarrinLupo, I found your comment so fascinating. I didn't know that about waffles. I guess they do look a bit royal and taste just as good. Lindacee, this place does have excellent customer service. It is part of the reason we love to dine with them. Tillsontitan, sorry this reply is late. You must stop in at this diner, you will enjoy the mix of flavors. Be well and safe. Hi Moonlake, sorry I didn't get this notification earlier. I am really wanting this meal today. It is something to miss in the South! Take care. Man I miss me some chicken and waffles. The history of how they came to together is fascinating too. In colonial days only the very rich could afford a waffle iron from france. So waffles were considered fancy fine dining and were served with dinner. Most often they were combined with chicken and the rest is history. I love chicken and waffles! Sounds like you really enjoyed your experience at Bay Bays. 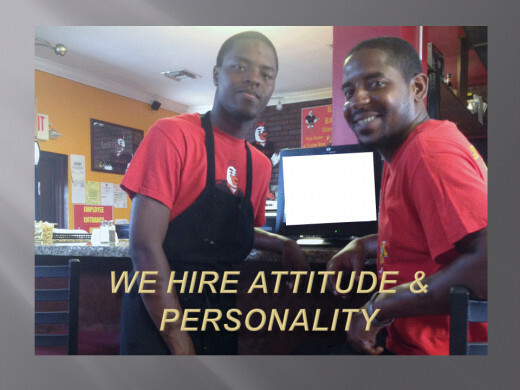 Israel and Albert seem like they definitely have the recipe for good food and excellent customer service. Hope the venture is a huge success. It is so sad that many eating establishments have forgotten that customer service is just as important as quality food. Love to read about people that follow their passion and do things right! A very interesting review of a very interesting place. Looking at the comments here it looks like I'm not the only one impressed with this hub and this eatery. You've made many good points and linked them to a your great pictures. If I am every down that way I will certainly look it up! I got so hungry reading this hub. How nice that the customer service was so good. Coming from the south I miss all the southern food. Voted up and shared. Please forgive my delay in responding to your comments, W1totalk, Suzette, and Vespa. I was just thinking of making a trip there this week and I just may have to after reading about your experiences. Suzette, I may have to try the turkey idea this Thanksgiving. Everyone be well and safe out there. This title caught my eye because we just dined at a chicken and waffle establishment in Phoenix called Lolo's. I was also surprised by the combination of salty and crisp paired with sweet and syrupy. I love the way you describe your experience and I enjoyed your photos. You never know....we may have to make a special trip next time we're in Florida so we can visit Bay Bays! I haven't heard of Bay Bay's but it sounds yummy. My mom used to make turkey and waffles from left over Thanksgiving turkey. Only we added the turkey gravy over the waffles and turkey and it was sooo goood! We had this many times during childhood. Thanks for and interesting and informing article - always looking for good, clean restaurants with some good service. They have a place locally that has the chicken and waffles. It is a good idea but can take some getting used to. Great hub. Lena, the photos here are a good representation but the taste is something you will enjoy in person. Take care and be safe. Thank you, Lady E, for your visit here and glad you found this food combination interesting. I hope you do try it some time, it's very good! Enjoy your weekend. I have never tried that combination before, but it sure looks tantalising. I'd love to give it a try. Hello, Glimmer! I was not up to the challenge either until my hubby picked it for our date night out. Now, I am hooked on the idea. Hope you get to try it soon. Over the years I have heard how good this combo is, but have been hesitant to try it. I will now. Eddy, I am so glad to see you. I am missing a lot of hub writers as well. Don't know how HP configures the notifications, but I do try to keep up as much as possible. Love and prayers, Dianna. Hi Dianna I seem to have missed out on your hubs; not sure how but I shall make sure I visit you often to make sure I don't miss out on any more by you. Here's wishing you a wonderful day and here's to a long time to come of friendship for us both. Lots of love from wales. Thanks for the wonderful visit and comments. Customer Service is what really makes the difference. 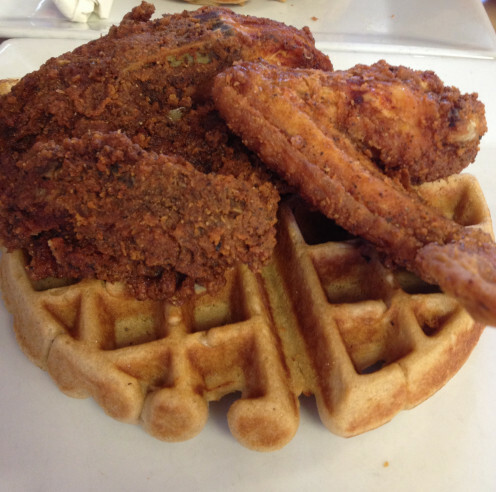 I am going to head down there this week for some more great chicken and waffles. Thank you, Faith for your kind words. CONGRATS dear teaches for your Hubbie award, for you do really teach us so much!!! So well deserved. Though new to me, I would try chicken and waffles in a place with great personality and attitude. The few places where quality and service are the primary concerns are going to do well, for sure, and I hope these two continue to find such people to hire as the business grows! I haven't tried this the chicken and waffle combo but I don't think it's weird at all. They would taste really good. Since it's not served here in my place i'd attempt to make such meal. Thanks for sharing. Up and useful, interesting. Sounds an interesting venue and this concept of waffles and chicken is a new one to me! Intrigued I found this definitely getting my interest and would love to try it sometime. The photos of the restaurant and food look great and loved the decor in the arty approach. Good review my friend! votes up, useful, interesting, shared! Vinaya, I guess if your family owns a restaurant you should remain loyal to their business. I would do likewise. Thanks for stopping by here and have a great week. Since my brother opened a restaurant, I have stopped dining in other restaurants. I have never reviewed a restaurant. Thanks for this great article. Midget, I will always go back to a place that treats me royally. Linda, it's a dare but one worth taking! EP, I think you are right - anything is good on a waffle. Thanks ladies for your visit here today. Hope all is well and good in your homes. Blessings. 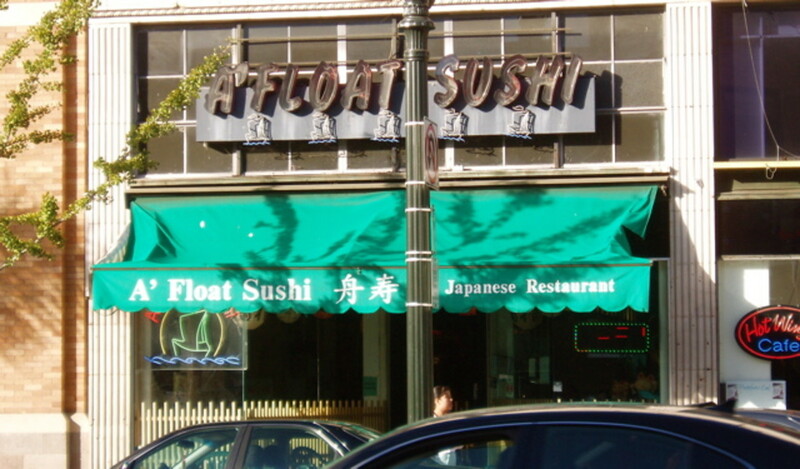 I have never heard of these place, however, I can imagine the food must be good. I love most foods on waffles, so this must be delicious! I do like fried chicken and waffles...maybe one day when I'm feeling like a rebel. You made it sound very tempting. Sounds like a place I'd get great chicken and waffles from! Thanks for sharing! And you are so right....all is in the service. With great service come more customers! Jackie, Thanks for coming by here. Yes, I notice that my notification page is quite small now. I may have to refresh all the writers previsously highlighted on my email. I like you reference to trying contrasting foods, this definitely fits that description. Have a great week. 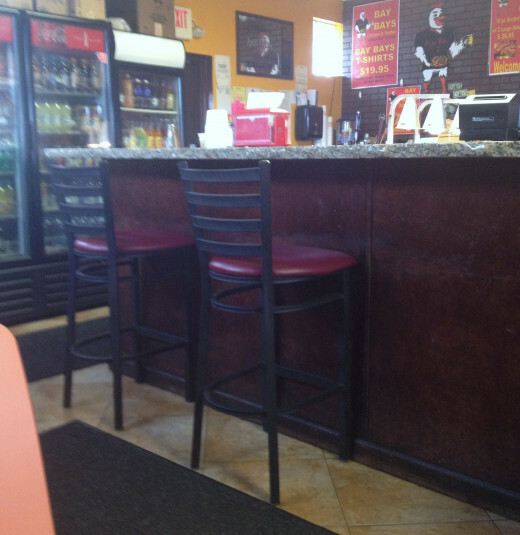 Thelyricwriter, I agree getting great service and hot food on time is a big value point with customers. Looks like you are making this point well in your service area. Yes, big number of people eat out weekly, I am guilty of this as well. Take care and blessings! Carol, some diners serve edible foods, but the service and environment is what customers value in these type of places. DR BJ, my hubby is hooked on the fried chicken alone at this grill. I have to say, it is pretty good. AliciaC, you should try this idea on your own; it is very enjoyable. Mike, I love it when a restaurant has quality food and quality service. It is what keeps me going back. There are a few local restaurants that have a great menu but the service is lacking. Not such a great experience. Thanks everyone for stopping by to support the article. Enjoy your week. Chicken and waffles is a strange combination indeed but I would certainly give it try. I also totally agree with your hub. Quality customer service could be sometimes more important than food served. The more I think about it, the more I like the idea of spicy chicken combined with waffles and maple syrup! It sounds like you visited a great restaurant, Dianna. It's unlikely that I'll ever visit the restaurant, but it was enjoyable to read about it. Great food and great service - no wonder this restaurant is popular. And chicken and waffles - new to me - do seem intriguing. Thanks for the intro, Dianna. It is amazing how bad service can ruin the dining experience whereas good service works opposite. Even if the food is not perfect, your dining experience is. Great job here and chicken and waffles..well not sure about that. However, if we had one..we would try it because your accolades. Thanks for a great review. Cleaner3, I agree. The food is the main choice, but if the service is under par people don't return. I also prefer a clean environment. Thanks for your feedback and validation, it means much to me. Enjoy your weekend and hope the floods are not in your area. Be safe. Blessings. teaches .. excellent write .. customer service is only the second thing I look foer when visiting any restaurant .. food the first ..of course .. that's what makes up returning customers .. you hit the nail on the head .. ! Millionaire Tips, it is so good to see you, friend. I believe this type of meal can be found anywhere across the US. It is just not as popular. Do try it at home one day - you may just find a new treat. Faith, I think this is going to be one of our favorite stops from now on. Very good food and service - what more do you need? Blessings. Mhatter, glad you liked the idea. Have a great weekend. I have never heard of such a combination, but after your review I would be willing to try it, plus with your great photos too! Thank you teaches for sharing about your delightful visit to such a quaint diner. I'm sorry I don't live in Florida and can't visit this restaurant because it does sound like one worth frequenting. Waffles and chicken does sound like an intriguing combination, and I just might have to try that at home. Bill, I believe chicken and waffles orginated up north somewhere but its popular in the south. Truthfully, I never heard of it until I moved here. Thanks for the feedback and you have me thinking! Susan, if you can't make it down here, try it on your own. I am not good at waffles, so I'll stick to visiting the restaurant. Take care. Cardisa, once you try this meal you will want more. I appreciate your stopping in today. Enjoy your weekend. I have often heard of this delightful Southern comfort food. I would really like to try it but unfortunately I don't think it's served in my area...lol Wonderful hub and now I am hungry! This does sound like a strange combo but I'm game, and will try it next time I'm in Florida. I write for a restaurant blog and one of the items on their menu is chicken and waffles. I had never heard of it until I had to write an article about it. I've never had it but it sounds just fine to me. Great review...seems like a local newspaper would want this printed...well done Dianna!